Ever wanted to try floating 50 tons of steel down a narrow canal? Summer is the time to hit the waterways of Europe and here is how to do it. Listen to this short podcast to find out what qualifications you need to put a boat in the water. ICC training centres in Britain can be found through the Royal Yachting Association. Testing in a foreign language is difficult, but if you are multilingual you should be able to find a CEVNI/ICC testing centre in a canal near you! If, like most of us, you can’t afford the rental costs associated with canal boating, gather some ideas for working along the canals of France and the rest of Europe. 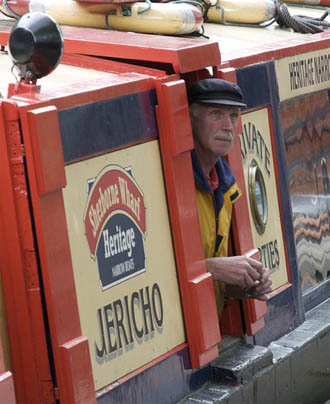 Why not try finding work on the water by working as a lock-keeper or working on a hotel barge? This can be a great way to meet new people, hone your language skills and still enjoy the slow, relaxing life of a canal boat. Enjoy more podcasts by checking out the traveler’s notebook on iTunes.